Nintendo has shared lists of the best-selling eShop games of 2018 in Japan, providing us with a good look at which games were the most popular in the gaming giant's homeland. Each of the two lists below shows the top 30 most-downloaded games from the eShop during the year 2018. The first list shows exclusively download-only software, while the second is made up of digital sales of games which were also released at retail. You can also see the publisher and original Japanese release date for each game. 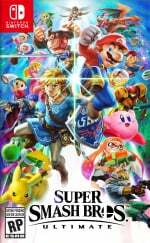 It was also recently revealed that Nintendo Switch exclusives made up the vast majority of Japan's best selling physical games. Did any of the titles listed above surprise you? Anything missing that you thought might be featured? Share your thoughts with us in the comments below. What a strange looking list for the eShop exlusives. Is Human: Fall Flat super popular in Japan or has it just been on sale really cheap or something? 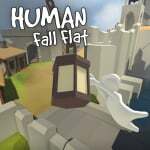 Human Fall Flat? Why, Japan, why? But that's two solid lists of games, otherwise. Also, I still think it's impressive that Smash tops the retail list, despite only being released in the final three weeks or so of the year. Wow Overcooked 2 did well in Japan. Meanwhile no sign of Hyrule Warriors. Good to see little to no Wii U ports here, Switch deserves its own games' library. It's interesting that Breath of the Wild is above Mario Odyssey I thought they didn't really care for Zelda over there. Nintendo needs to talk to chucklefish about developing some games as well. Dragon quest X to the west...? That's a heck of a nice list of games the Switch doesn't have. I mean, that's the kind of thing I still hear people saying. @Heavyarms55 Yeah, it's almost 4 games a month, but that would be impossible. Switch doesn't have games. I'm pleased with the amount of third party releases on the retail chart. They damn well deserve them at that. Every time I see a mention of Dragon Quest X, I die a little inside. I'm so happy Senran Kagura made the list! In my honest opinion, those two lists show that those who use the Japanese eshop, on the whole, have good taste. @oji I see Captain Toad, Mario Kart 8, Bayonetta, and DK Tropical Freeze. 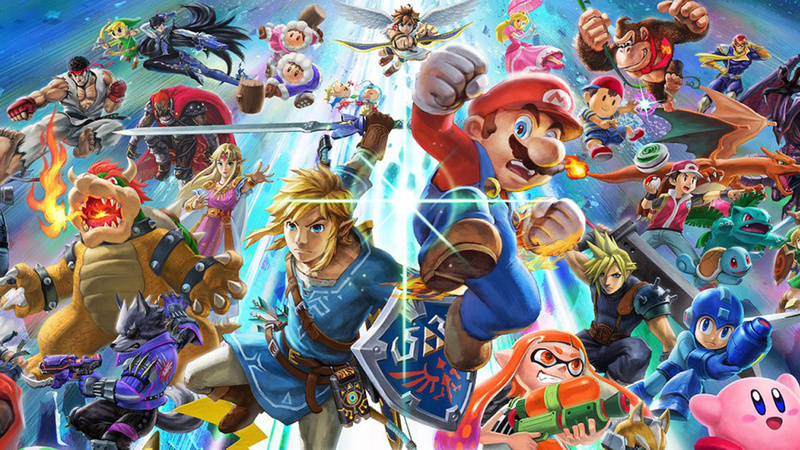 Isn’t that most of the Wii U ports of 2018 right there? That’s nearly all the Wii U ports Nintendo have put out. 2017s Pokken and last years Hyrule Warriors are the only ones missing. Edit: moving that chart to the Japan Best seller article. But the digitals!? Thats awesome! Glad to see ultimate chicken horse, escapists 2, and mom hid my game doing well! Those are all great games (except MHMG, but its still really fun witha friend). However, the real surpise is human fall flat. I LOVE that game! Probobly one of the best co-op games I ever played. Good times were had the last we played together for sure. Very surprised about some of these results, but of course, the eShop list has excluded all games that also have a physical release. So most likely, certain titles have sold A LOT more than Human Fall Flat. @electrolite77 Hyrule Warriors isn't that great of a game, no surprise here. Nice seeing Octopath Traveler in the Top 10, this certainly gives hope that Square Enid will hopefully do more with that franchise! Please bring DQ X to the west! FFXI was the only MMO (at the time) in the other big SE RPG franchise and it turned out to be one of my favorite games of all time. Played it on and off for over a decade. @imgrowinglegs, you forgot some 3rd party retail titles (Bayonetta 2, LEGO City Undercover to name a few), and tons of eShop which ported too. Also, this post review sales, not releases of the year, MK8 & LOTZ are out in 2017. Just remembered I wanted to buy ICEY and this list had reminded me. If you all haven't played Donut County yet, I can't recommend it highly enough.